The Russian insurance company Malakut officially launched its affiliate in Ha Noi on Dec. 1, becoming the first Russian insurer to work within Viet Nam's insurance market. Andrey Dolgopolov, President of Malakut Company, said that Malakut Viet Nam will provide reinsurance services all over southeast Asia. It insurance activities will focus on construction, energy, shipping (especially shipbuilding companies), aviation and fixed-term reinsurance contracts. He also said Malakut will provide Vietnamese insurance companies with reinsurance services and products at the best prices. 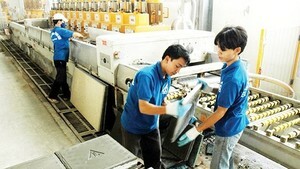 The company is also expected to attract business from the world insurance market to Vietnamese insurers. According to Vu Trong Quan, representative of Malakut in Viet Nam, Malakut with its experience hopes to succeed in the Vietnamese reinsurance market.